Congratulations! You’re engaged! Have you set a date yet? It is the first question couples get asked when they announce their engagement, apart from ‘Let me see the ring’. And it is a very important decision. Your choice of date can affect your wedding in many ways, from budgeting to the overall theme and mood of your special day. Once you have chosen a date, the rest of your planning will fall into place, such as the style of your dress, flowers and even your choice of venue. We have put together the following tips to help you pick the perfect date. The weather can set the style and location for your wedding day. You may want to choose a Summer date but it may be too hot to have an outdoor wedding, so Spring or Autumn may be a better option. Decide on the style and personality for your wedding and then choose a season that reflects it. Your budget may affect your choice of date. If you choose to get married in the most popular months of October or March then you can expect to pay more for your venue and suppliers. If you go for a less popular month such as June or July then there are some good deals available and may be able to secure a really popular venue. This also applies to days of the week. Why not go for a midweek wedding rather than a Saturday and splash out on your honeymoon instead? You could choose to tie the knot on a date that is special to you and your partner. It may be your anniversary, the date you shared your first kiss, a family birthday, or even Valentines Day. It will make your day even more personal and romantic. If you are set to marry an avid football fan, then choosing your wedding date on the same day as the AFL Grand Final should best be avoided. Try to avoid any major sporting event as you don’t want it to clash with your anniversary for years to come. Also try and avoid any family birthdays, you don’t want your wedding day to overshadow other special occasions. You also need to consider your honeymoon destination and whether it is an ideal time of the year to visit. If you are planning to honeymoon abroad it may be the rainy season or winter when you get married. If you and your fiancé both work, it is important to choose a date for a time when you can both take time off work after the big day. You need to consider those family and friends who you must have at your wedding. Maybe run the date past them before you make a decision to ensure they can all attend. Then make sure you send out Save the Date notices at least 12 months in advance so your guests will have plenty of time to plan ahead. Congratulations on your engagement. Once you have decided on the date for your big day, check out our venues page to see which venues are available on your special day. 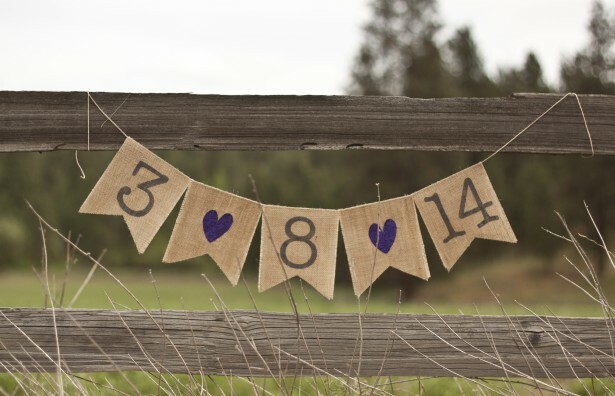 Do you have any other tips for how to pick a wedding date? How did you choose your wedding date? Leave your thoughts in the comments below.